White parties have been popular for over three decades, with the first Diner en Blanc taking place in Paris in 1988 before taking the world by storm. Elevate your next all-white soiree with our unique, high-quality white and gold furniture pieces. 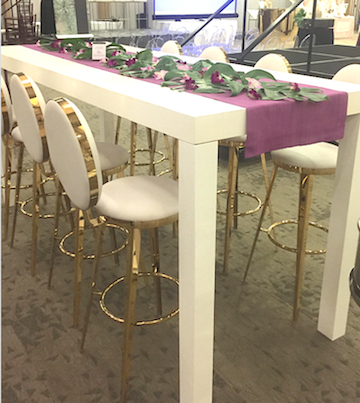 Our Parsons Table (pictured at cocktail height) is the perfect way to provide seating for your Guests. 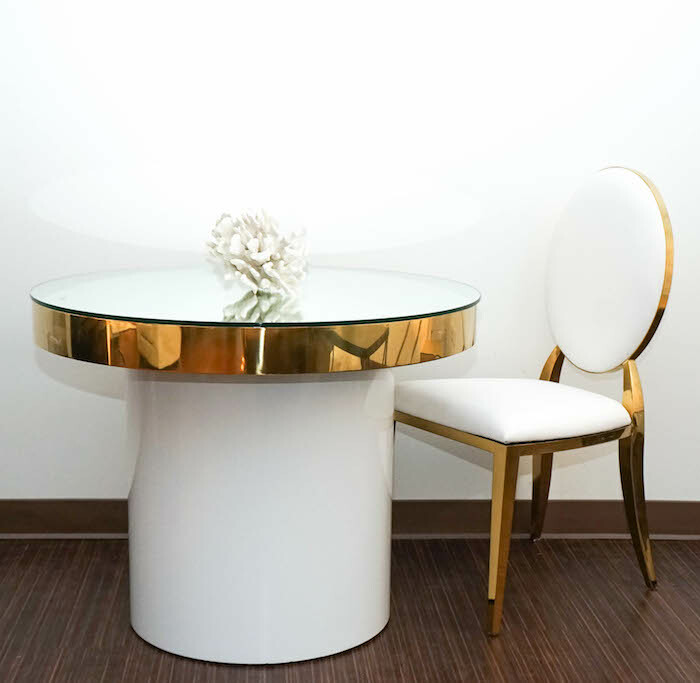 At cocktail height, it pairs perfectly with our White & Gold Bar Stools, and at dinner table height it pairs well with either our White & Gold Luxe Chairs or Gold O Chairs. 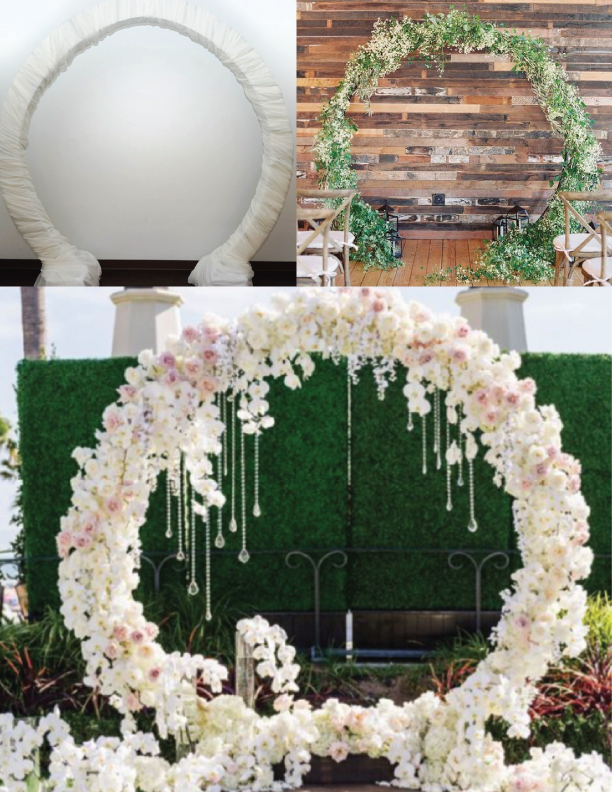 Create a dramatic entrance or stunning photo op with our nine-foot high Round Arch. Wrap it in white draping or elegant flowers and incorporate sparkling hanging crystals for a spectacular Event accent that everyone will be talking about. Our elegant Gold Sweetheart Table and White & Gold Luxe Chairs will bring a new level of sophistication and style to your next white Event. Display a beautiful wedding cake on our sweetheart table or pair it with our chairs to create an intimate seating arrangement. Can’t you envision it now? A touch of gold and a whole lot of wow! Make a GRAND impression with our RAJ Grand Pavilion. 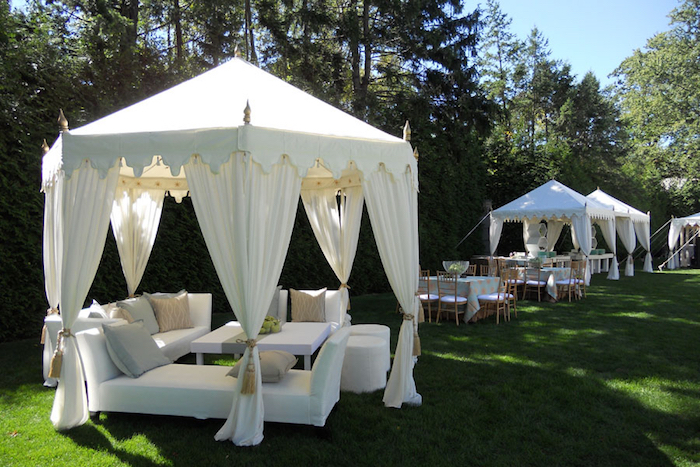 It’s the perfect piece for an exclusive VIP area, ceremony tent or themed vignette for any indoors or outdoors Event. Add our white lounge furniture for the ultimate seating area! 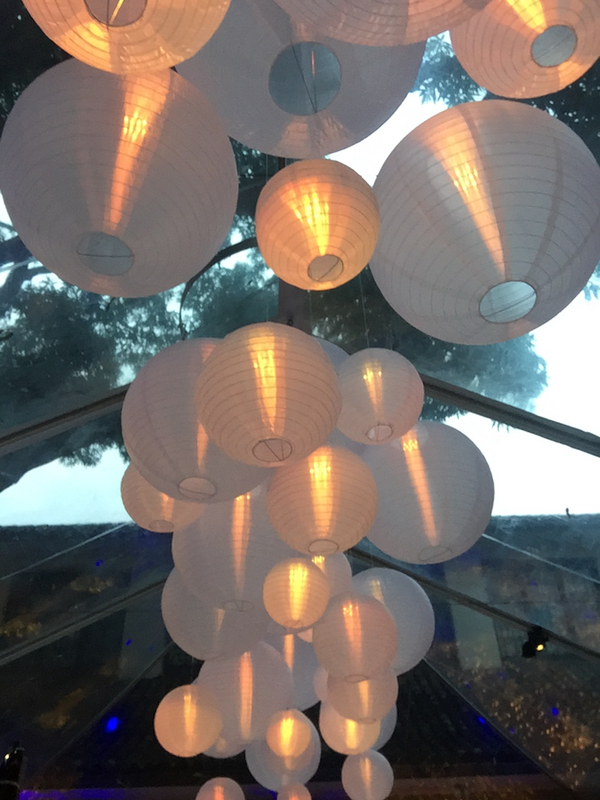 Our Japanese-inspired Shoji Lanterns add a beautiful glow to Events. They can be hung individually from trees, tents and ceilings or grouped together to create a unique lighting fixture. 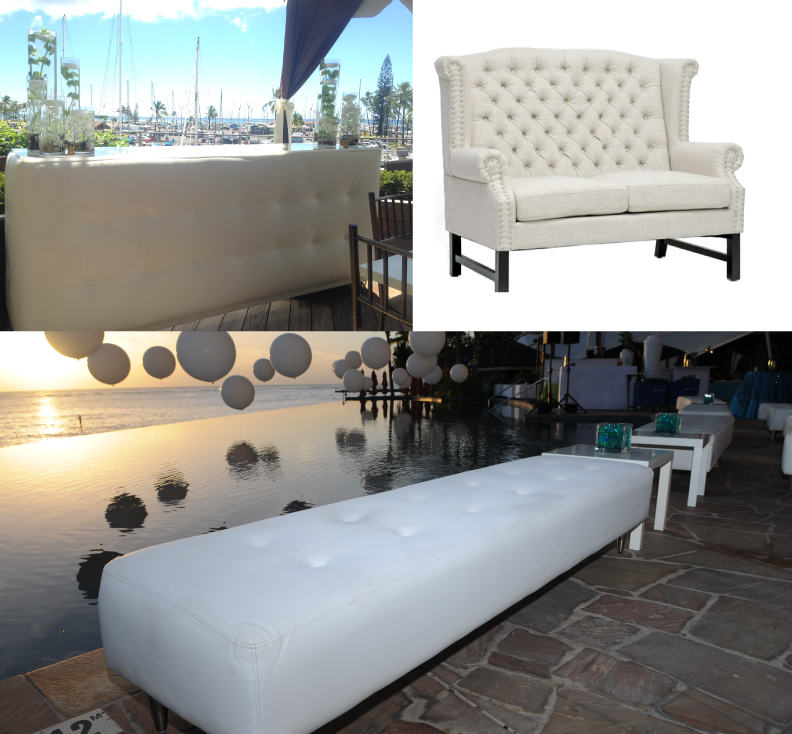 A modern take on traditional furniture, these pieces add a layer of texture to your Event with their tufted details. 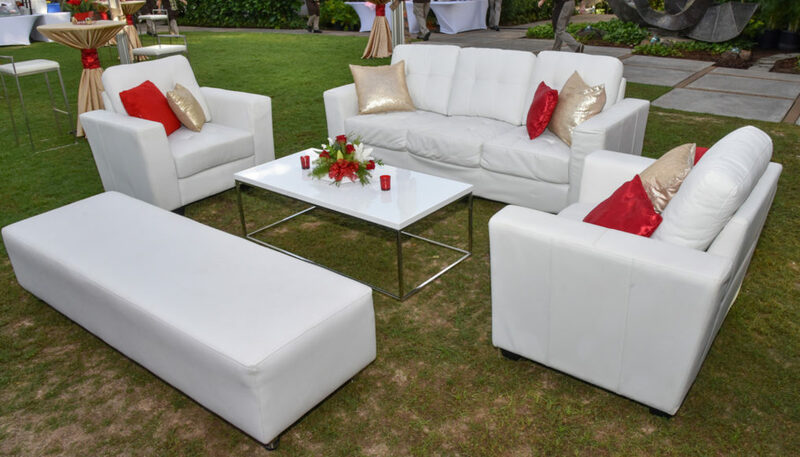 Pair our Leatherette Bar Facade with white floral arrangements for a wedding reception, or create a seat of honor for the mom-to-be at her baby shower with our oatmeal-colored Sweetheart Love Seat, or place our Leatherette Bench poolside at sunset for a special seating area. No matter how you use them, these pieces will be sure to bring an upscale and classic feel to your all-white Event. If you’ve seen something you MUST have at your next Event, contact us today to find out how we can help make your All White Party dreams a reality!